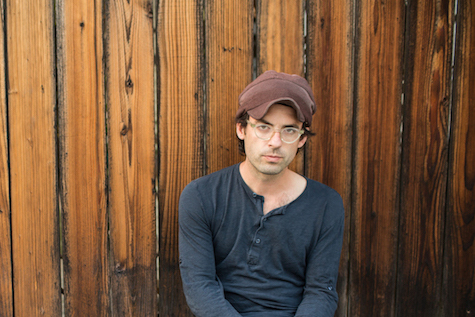 Clap Your Hands Say Yeah plays tonight at The Waiting Room. Two, count ’em two Ten Questions interviews! Clap Your Hands Say Yeah is tonight, while Chuck Prophet is tomorrow night. Both are at The Waiting Room. I’m not sure how this will sound to the creative force behind Clap Your Hands Say Yeah, frontman Alec Ounsworth, but maybe the band’s slow disintegration was the best thing to happen to him? After all, the new CYHSY album, The Tourist, is my favorite recording by the band. The Tourist sounds like a cross between Radiohead and anthemic Arcade Fire. Ounsworth has that yearning Thom Yorke vocal styling going on, while the chiming synths and electric guitars, and snap-crack percussion on “Better Off” recall DIIV’s atmospheric essence. We caught up with Alec and asked him to take our Ten Questions survey. Alec Ounsworth: I have been listening to a lot of Randy Newman lately . . .
New York is usually nice. Tokyo is great. Omaha is fantastic. We had a rough one in Birmingham, Alabama, some years ago. Usually there are technical difficulties involved. I imagine this was the case. I am lucky enough to be able to support myself through music. It took years to get there. I would like to play professional basketball. I would not like to play semi-professional basketball. I have heard that it is bigger than I thought it was. 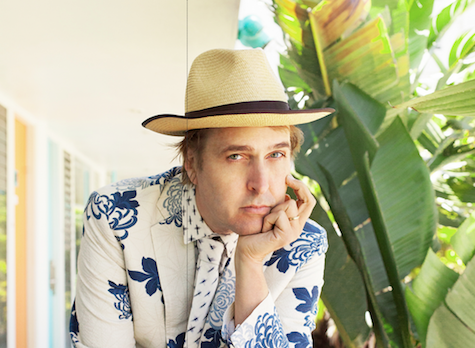 Chuck Prophet plays at The Waiting Room March 14. California rocker Chuck Prophet has taken a long road to stardom, starting in the ’80s with psychrock/Americana band Green on Red. Prophet went onto work with a number of music luminaries including Alejandro Escovedo, Kelly Willis and Lucinda Williams while nurturing his own solo career. Prophet’s latest, Bobby Fuller Died for Your Sins (2017, Yep Rock), is classic barroom rock with Prophet sounding like the second coming of Ray Davies. He said the album was inspired partly by the mysterious death of rocker Bobby Fuller in LA in 1966. “California has always represented the Golden Dream, and it’s the tension between romance and reality that lurks underneath the surface in all noir films and paperbacks, and that connects these songs,” Prophet said. Pavarotti once said he hated the sound of his own voice. Only one voice he liked less. Add that was Placido Domingo. I’m sure my least fave song it out there. I just haven’t heard it yet. When it’s all clicking, it’s just a great joyride playing with a band as great as The Mission Express. Hate is a strong word. But there are people out there don’t know that The Old Man in the Sea is not about fishing. Being in a band. It’s a shared experience. And that’s the best and worst part of it. There’s no way to share a pulled muscle with somebody else. Pain. We do that on our own. 9. How much do you tip? I always tip 20% and I always round up. Albany, NY. I’d have to start taking medication if I revisited that night. Too long. I’ve been playing in bands since I was 12 years old. There have been times where I washed dishes, parked cars, or even gathered signatures. But mostly, I haven’t had a job other than playing music and writing songs. I don’t know if I’ve been making a living. But, I suppose not having a real job is a start. I doubt it’s much fun being a corrections officer. And I’m sure it’s pretty stressful and altogether unpleasant. Madness. Short leashes. But people who can do that? With dignity. I have to give them my respect. Seems like a good and livable place. Been there a long time. They must be doing something right. I once drove across the country by myself. Sat in a Borders in Omaha from the time it opened until it closed. People came and went. Kids were doing homework. I got to know the staff. It was a good time. I made up my own stories about them.